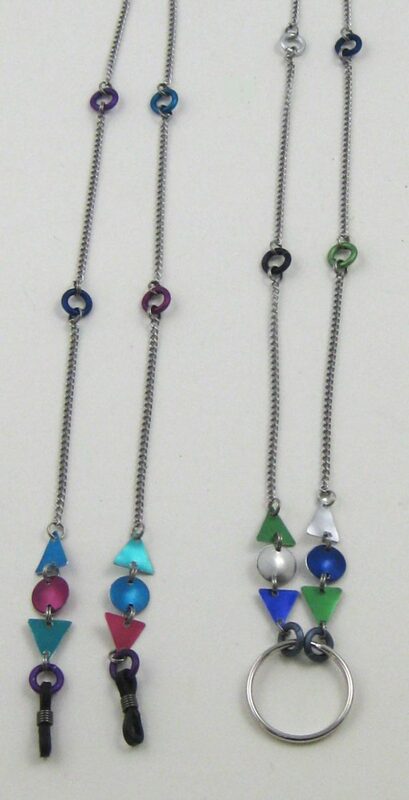 Asymmetric earrings 1 ¾” long in 4 colors, shown in Basic (top), New Amazonia (left) & Vesuvio (right). 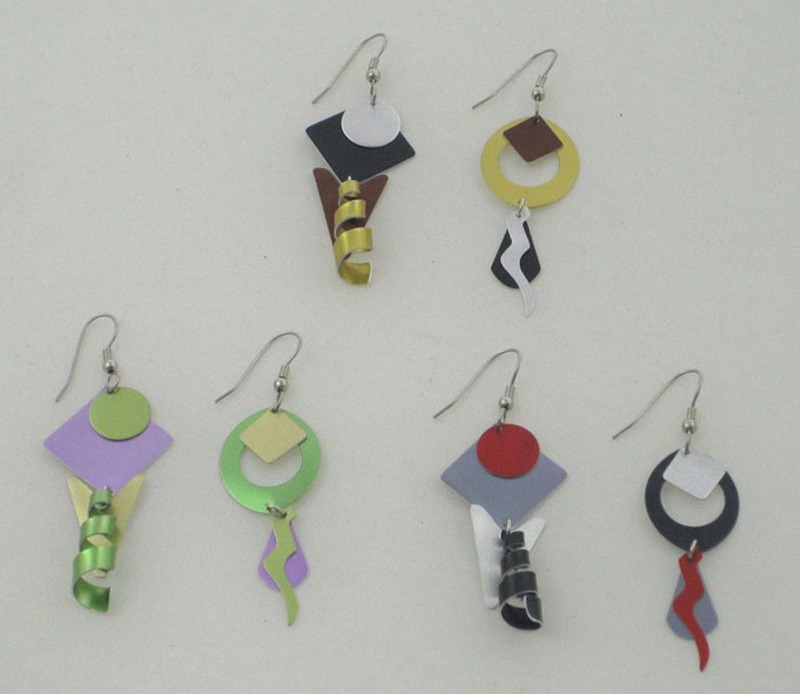 Asymmetric earrings 2 1/8” long in 5 colors, shown in Cool (left) & Tlascoco. 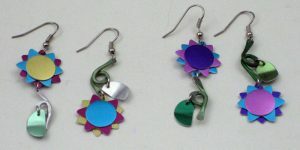 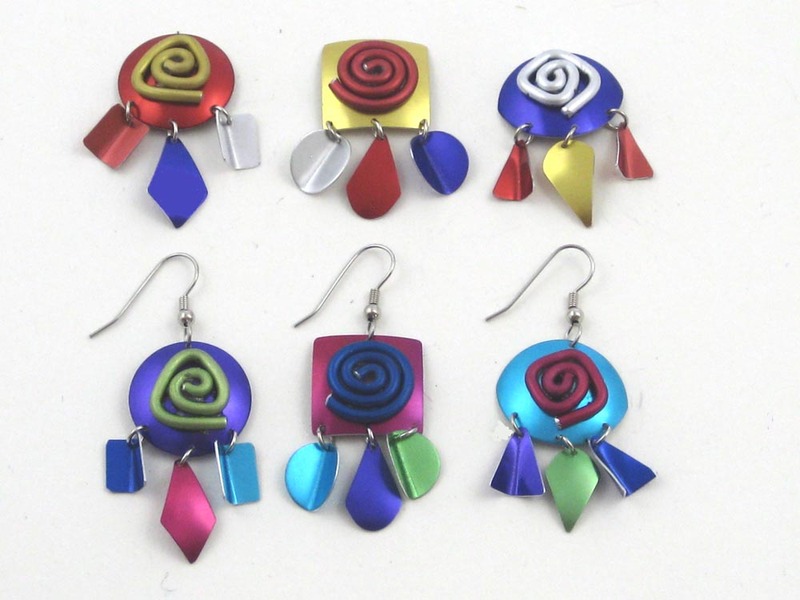 Earrings in 5 colors 2″ L shown in Zyzyx (left) & Cool with Pink.